#5. 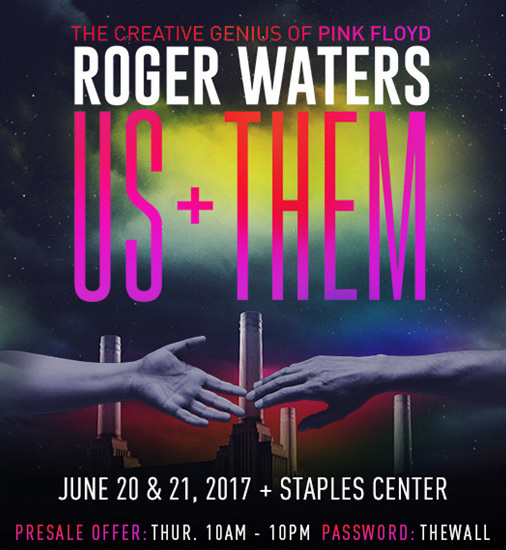 Roger Waters @ Staples Center, Los Angeles CA, 6/27: After I had seen David Gilmour perform last year at the Hollywood Bowl, I spared no chance to save up some healthy coin to get to the Staples Center to watch Roger Waters perform. I anticipated a visual spectacle, as Waters was definitely more of the showman type as opposed to Gilmour, who focuses his performances more on the musical aspect. I was absolutely blown away by the production, and even more so, the visuals. Waters put out all the stops, with a giant inflatable pig, LED screens and mesh backdrops that came into the middle portion of the arena that illuminated the Animals album artwork. He was on tour supporting his solo album ‘Is This the Life We Really Want’ and performed the better songs from that record. But the nearly three-hour performance, included some of Floyd’s blockbuster hits including almost every song from Animals, Wish You Were Here, and The Dark Side of the Moon. I first got into Pink Floyd and pretty much burned myself out putting out everything I had from them on repeat back in 2011-2013 to the point I seldom ever put on the music on my car stereo. I always told my friends that I deeply regretted never taking the moment to catch Roger perform The Wall in its entirety when he was out doing that tour for almost three years, so when I heard he was coming around again I was ultra stoked. He still sounded as good as ever, and his backing band performed all the songs with a similar feel from that of Floyd. This performance at the iconic Staples Center was everything I wanted out of the show and snagged up some epic tour merch too. #4. 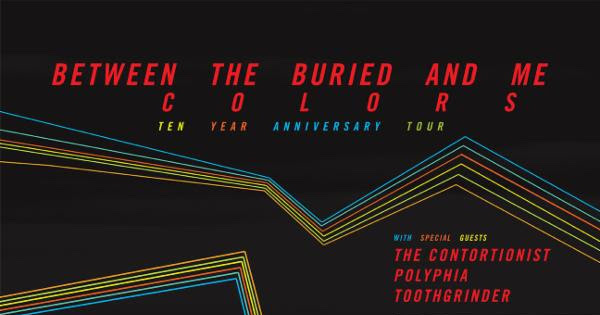 Between the Buried and Me @ The Glass House, Pomona CA, 10/8: I first got into BTBAM back in 2009 during my first year of college when I was hanging out with a former high school buddy when I was trying to broaden my musical horizons. BTBAM for me was the first band I ever got into that had heavy vocals, and their iconic album ‘Colors’ was always in my music rotation. It got to the point where I learned every nuance from the studio recording, the lyrics, etc, becoming engrossed in every aspect the album had to offer, making me a diehard fan catching them every time they made it to Southern California. I always joked backed then that I wish I had gotten into them sooner so I could I seen their Colors tour, and even joked at the future possibility, then eight years into the future, that they would do a ten year reunion tour celebrating the album. Years went on and they went on to release the Parallax trilogy, and the band reached new heights and would becoming one of the highest drawing bands in the progressive metalcore scene. When they announced that they would tour to perform the album, front to back, I immediately nabbed some tickets and set the countdown meter. I could not believe that I was going to relive the experience this band put out a decade prior, and I was also going to see one of my all time favorite albums live in two cities. So when my cousin and I walked into the Glass House, and The Contortionist was wrapping up their set, we scrambled to the merch table to pick up some goodies, and then pushed our way front and center to get the best audible and visual experience we could. In a slightly alcohol infused stupor, BTBAM graced the stage and began their set performing Colors Live, something that I had so achingly wanted to see for the last eight years. I could not believe that I was there, watching this perfect album being performed, the entire duration of the tour. After the band had left the stage, as if I had been stung by the heavy metal version of cupid, left home in a lovely haze. Their following performance at the SOMA Theater in San Diego was just as brilliant, but the novelty wore off making the Glass House performance entirely special for me. #3. Dream Theater @ Bass Concert Hall, Austin TX, 12/1: I became a die-hard Dream Theater fan during my teenage years, spinning their legendary prog production, ‘Images and Words’ every chance I could get. I also did my best to introduce this band to my friends, and just about everyone took a chance at these prog geniuses to my liking. My favorite song from them, Metropolis Pt. 1, Scenes from a Memory, was ever so elusive from their live set when I got to seem them before back in 2010, 2014, and 2016. 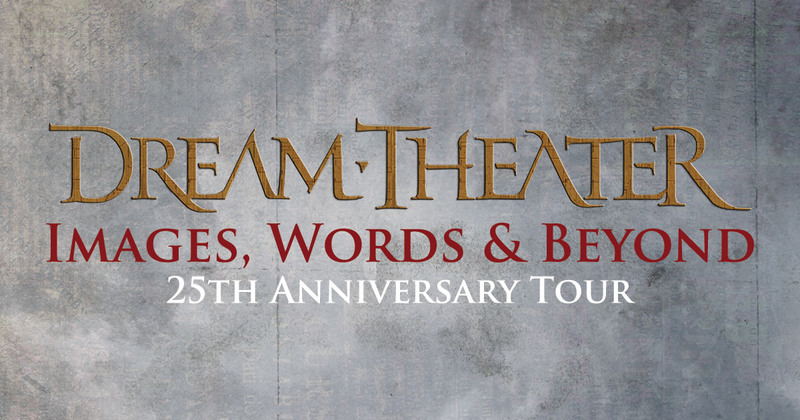 Their announcement, marking the twenty-fifth anniversary of the album’s release, a tour in celebrate the Images and Words album by performing the album in its entirety was music to my ears! When I searched for the tour dates, I was initially incredibly bummed knowing that I was going to be on tour while they were to pass through Southern, CA. I then spoke with my brother, and friend Andrew Bansal, about trying to travel outside of California to catch this once in a lifetime opportunity. Unable to line up our schedules, Andrew would fly out to Denver to catch the show, my brother would drive out to Arizona to see it, and I hopped on one of those Frontier Airlines flights for dirt cheap to Austin, Texas to finally live the Images and Words experience. As I pulled up to the beautiful University of Austin campus, awestruck at both the scenery and long lines of fans in anticipation getting past the doors, I was building myself much excitement. I was going with two friends of mine, making the experience all the more merrier. They performed some of their deep cuts to kick off the show, and ending a well-rounded first half of the set with Breaking All Illusions, my favorite song from the “A Dramatic Turn of Events” album. When they came back onto the stage from a short intermission, Images and Words came to life, and I finally got to witness Metropolis live. They would conclude their set, going into full prog mode, performing A Change of Seasons live. Incredible show, and a life changing experience for sure. #2. King Diamond @ The Joint (Psycho Las Vegas) Las Vegas NV, 8/18: Just as I had felt like I missed the train for BTBAM to catch the Colors live show back in 2007, I missed King Diamond’s ‘Abigail’ tour in 2015-2016. I feel embarrassed to say that King Diamond was something I never really got into, and after I caught him perform at the final Mayhem Festival in 2015 I became a fan. 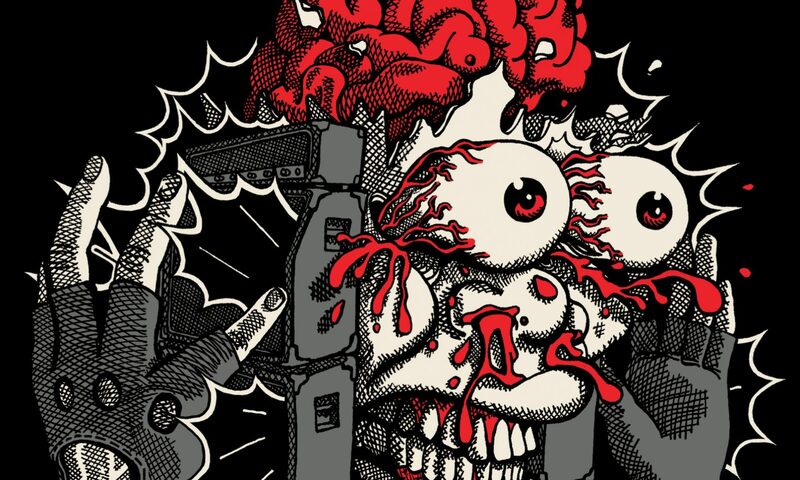 When I found out that the Abigail tour would pass through San Diego, I was excited to catch the show, but scoffed at the $50 dollar tickets and ultimately passed. I then went on Amazon, and purchased the album at a steal price of $5 dollars, and waited patiently in the mail. Once Abigail arrived in my mailbox, I must have ran to my stereo and punched it in. HOLY S$#! Was this album absolutely amazing! Over the course of 2016 and early parts of 2017, I must have played this album a thousand times, learning every nuance and lyric just as I had done for Colors and Images and Words. After the album had ended, I always had found myself in a deep state of regret not forking over the goddamn $50 to see the legendary King of heavy metal perform this seminal piece of art. 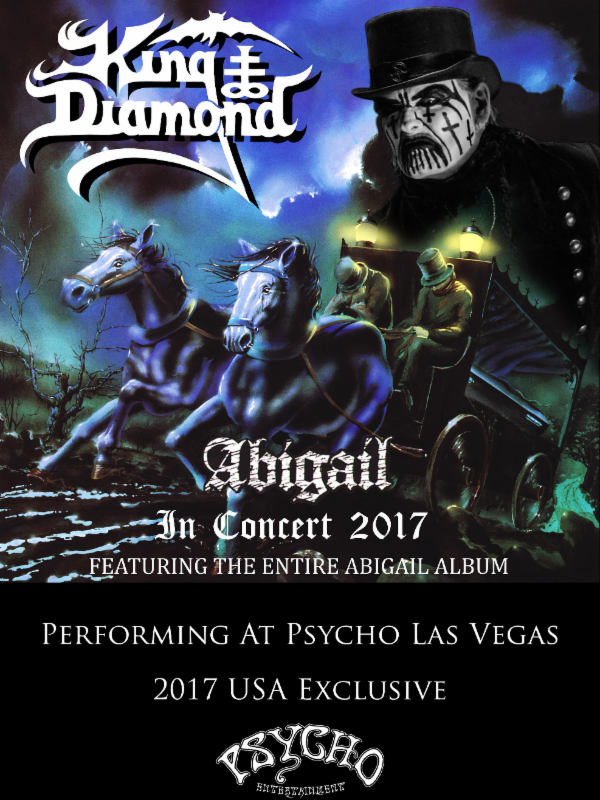 However, I believe it was in late 2016, or early 2017, my eyes widened as I read the press release for Psycho Las Vegas, months after they had announced the lineup, that they had added King Diamond as one of the headliners, announcing that he was going to bring the full Abigail production with him, marking it the only time for the year of 2017 in the United States that he was going to be performing it front to back. I took no chances this time around, and put myself in debt to head out to Las Vegas for four days to catch Psycho Las Vegas for the first time ever. King Diamond would go on to perform literally his greatest hits from albums The Eye, Fatal Portrait, Them, and even went into his back catalog of Mercyful Fate to perform some of his more well known songs. As the opening intro of Abigail, “Funeral” started to play, I fell into a state of excitement and trance. Once the King had shouted “THAT MUST BE IT” and pointed at the inherited Lafey home, in the opening musical track of the album, I felt like I had transcended myself, that feeling of oneness when everything wrong in the world suddenly evaporated and I was just living in the moment. However, so painful to say that this performance does not rank number one in my best of for 2017, the sound would cut out throughout the length of the Abigail performance. No other artist would experience the same fate, so for many fans that were there did not really receive the show that they deserved. The performance however, scratched the Abigail bucket list for me, and I went home after the festival still not able to believe what I had witnessed. #1. 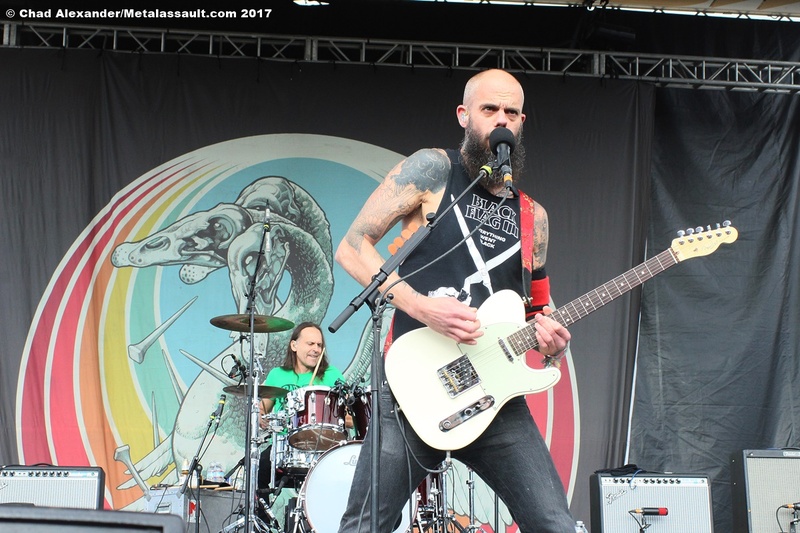 Baroness @ San Manuel Amphitheater (Ozzfest), San Bernardino CA, 11/4: I grappled with the notion of putting this album high up on my list, just for the fact that prior to this particular show, I never once had heard of the band nor of their music. 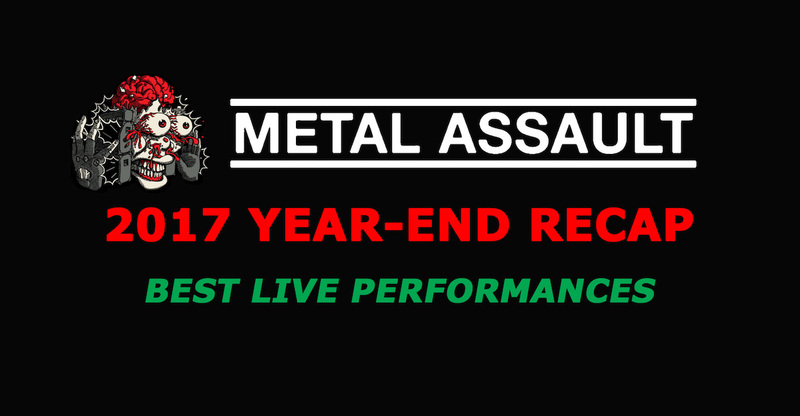 Ozzfest 2017 was stockpiled with a bunch of heavier bands in the death, death tech, black, and thrash scenes, and very few of the NWOBHM and stoner rock scene. So for many people like myself, who enjoy the really heavy music once in a blue moon, Ozzfest was a great opportunity to check out the other heavy acts to see whom I can add to my playlists and the sort. After catching Night Demon, Tombs, Rings of Saturn, 1349, Kyng, Iron Reagan, and Havok in that order, my senses became over stimulated and had to lay down to relax. After catching a break, I started to walk over to the stage where Baroness was going to perform. What makes this performance number 1 for me in all of 2017, surpassing both the Colors and Images and Words tour, encompasses so many things. Baroness followed a bunch of heavy bands, focused on insane riffs and blazing speed, so when they assumed the stage it was such a refreshing wind of air when they turned out to be a slower, more melodic bunch. Never have I ever witnessed a band where I fell into a deep state of trance and awe, then I have watching Baroness. They performed the bulk of their set songs from their recent installation, “Purple” and in doing so, they took over the crowd and I think stunned them, as much I had been. No one moved, moshed, or head banged. I think for a lot of people, just as myself, were experiencing the same moment, staring at the stage with a hypnotic backdrop and even more hypnotizing music. The melodies!!! I could go on how Baroness hit all the right notes for me, as their frontman belted his vocals out in such sweet melodic goodness. I became an instant fan, and immediately added Purple to my Spotify. I think what also makes this performance my number 1 is how quickly I became a fan of the band, which is almost instantly. Usually for me, it requires a lengthy process of scoping out all the music and making a conscious decision, but never have ever been roped into it as quickly as I have for Baroness. So with all that in mind, Baroness tops my best of shows for the year 2017.